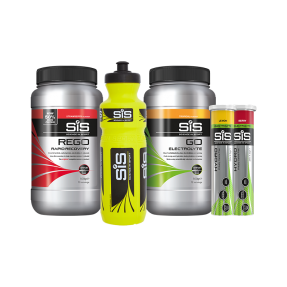 High-energy Tropical flavoured carbohydrate + electrolyte drink to help fuel and hydrate during training or racing. Ideal for longer sessions when energy stores drop and sweat rate rises. 500g tub is conveniently sized for transport & a great way to try new flavours. Tropical flavoured carbohydrate energy drink mix with electrolytes and sweetener in 500g Tub. 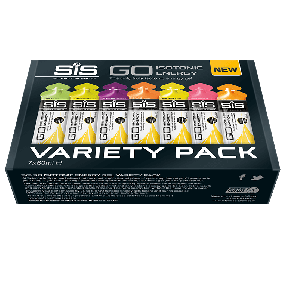 SiS GO Electrolyte contains a blend of an easily digestible and quick supply of carbohydrate as well as electrolytes (such as sodium) that promote optimal hydration. A combination of energy sources and electrolytes enhance your body’s ability to absorb water during exercise, maintain your endurance performance and protect against cramp. 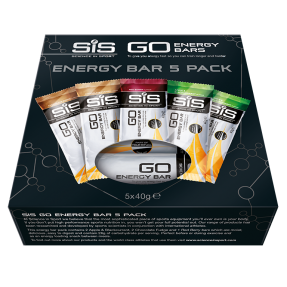 The product is mixed at appropriate concentrations of carbohydrate (36 grams as a 6% solution), sodium (20 mmol/L) and fluid (500ml serving) in order to achieve the combined aims of energy and hydration. Both carbohydrate depletion and dehydration are two of the major causes of fatigue in endurance exercise. A common mistake made by endurance athletes is to consume too much or too little carbohydrate at inappropriate concentrations, causing lack of carbohydrate absorption or gastrointestinal problems. In addition to ensuring optimal carbohydrate stores and hydration status before exercise, delivering additional carbohydrate and fluid during exercise is known to improve performance, race times and delay the onset of fatigue. 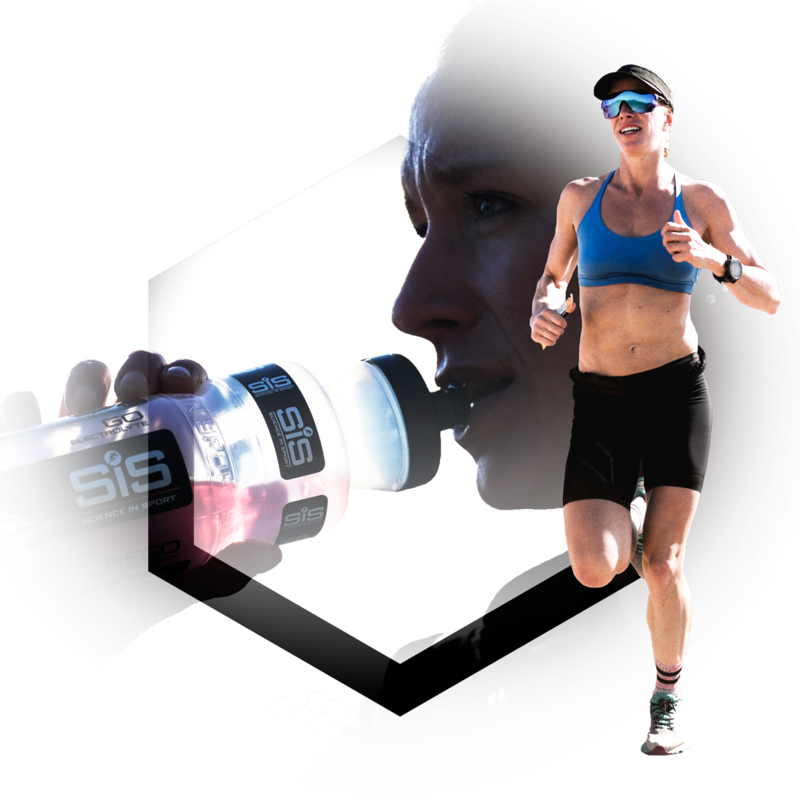 The specific formulation of SiS GO Electrolyte represents a strategic approach to offset the negative effects of carbohydrate depletion and dehydration on your performance. Informed Sport Registered: Our complete product range is developed using a world-class approach to banned substance testing, providing assurance for athletes. For more information on Informed Sport & our unique world class approach, click here. BEFORE YOU HIT THE WALL, HIT BACK. Carbohydrate mix (92%) (Maltodextrin(produced from partial hydrolyses of a special variety of Maize), Fructose), Natural Flavouring, Citric Acid, Electrolytes(2%) (Sodium Chloride, Calcium Lactate, Potassium Chloride, Sodium Citrate, Magnesium Lactate), Sweetener (Aspartame). Contains a source of Phenylalanine. What is the difference between this and SiS GO Energy drink? 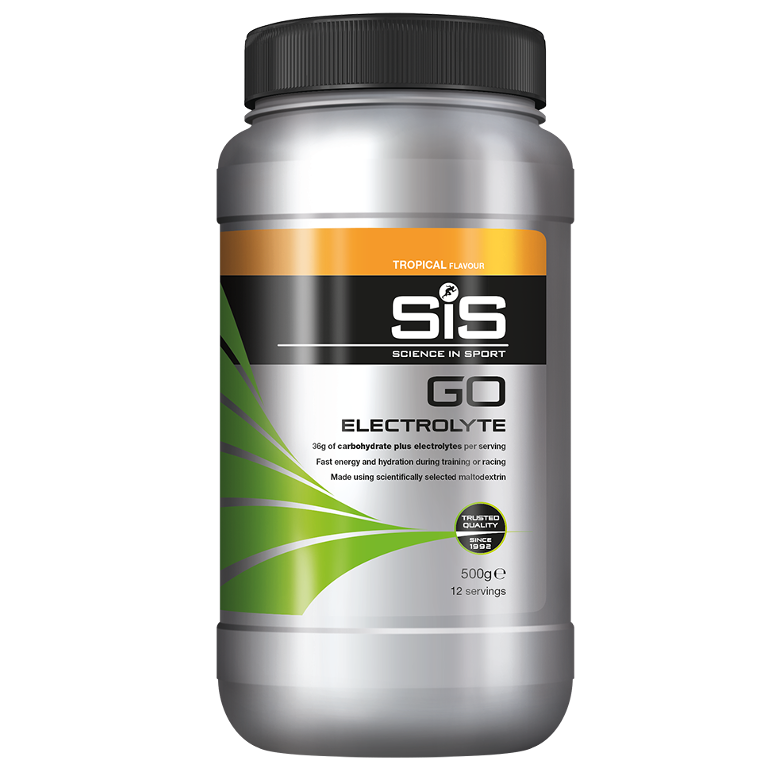 SiS GO Electrolyte contains 36g of fast absorbing carbohydrate with the addition of balanced electrolytes which increase water absorption. When should I use this product? SiS GO Electrolyte is great for when you're sweating heavily and you need to balance energy with hydration. 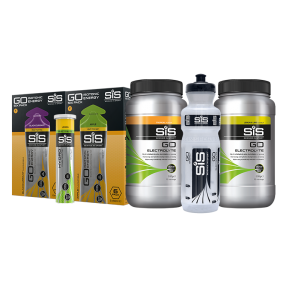 Combine the powder with 500ml of water and consume one per hour during exercise lasting over 90 minutes, along with other carbohydrate sources e.g SiS GO Isotonic Energy Gels. Do I need to preserve this once open? Once opened, keep the product cool and dry and don't exceed the best before end date. Can I mix this with GO Energy or Hydro Tabs to get all the benefits? We don't recommend combining the products together into one solution because the products have optimal carbohydrate and sodium levels. Combining them will alter the concentration of the products, making them no longer optimal. How many scoops do you need per normal 750ml bottle? Use 3 scoops in a SiS 750ml bottle. Does this product contain Aspartame? Yes, aspartame is added to make the product more palatable. It is one of the more researched sweeteners and is safe to consume. Seems to do a really good job of keeping my hydrated and going for long workouts.